Local developer Ironstate Development was featured in this week’s edition of NJ BIZ. 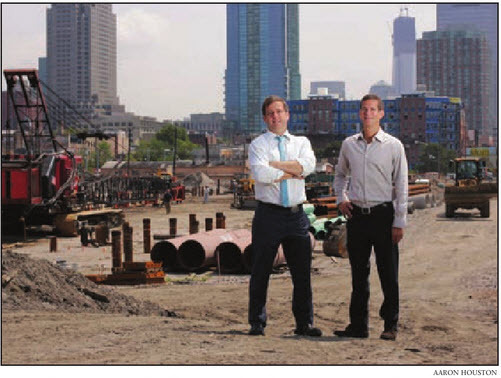 Ironstate Development principals David, left, and Michael Barry at the site of 18 Park, a 422-unit residential building in Jersey City. The ability to stick to a plan has always been a key strength of David and Michael Barry. Like their father and grandfather, who founded the development business they now lead, the brothers have stayed atop the industry by staying true to a strategy of building their multifamily and mixed-use projects around the state’s bustling urban centers. But that hasn’t stopped Ironstate Development from evolving under the brothers’ watch. In recent years, the firm has become a player in the region’s hotel market, and the Barrys are now expanding its reach beyond traditional hubs like Hoboken and Jersey City. Multifamily has weathered the storms of the troubled real estate market, helping to expand Ironstate’s pipeline and portfolio in recent years. The development firm of about 50, which descends from the family’s Applied Housing Co., has added more than 1,600 residential units, 55,000 square feet of retail and two hotels since 2007. The Barrys’ firm now owns and manages more than 6,000 residential units, and has a $1 billion project pipeline that includes another 7,100 units, according to the firm. Its upcoming projects also include 193,500 square feet of retail and some 200 hotel rooms. Ironstate stuck to its core markets during the recession, completing the signature W Hoboken Hotel and the 93-unit Berkshire, in Hoboken, and large joint venture apartment projects like 225 Grand and 50 Columbus, in Jersey City. The firm also built and opened a luxury rental building in Harrison during the downturn, in what was the first phase of a redevelopment project with the Pegasus Group. But with space in those areas running low, Ironstate has looked toward new markets to extend its large-scale, transit-centric brand of development. 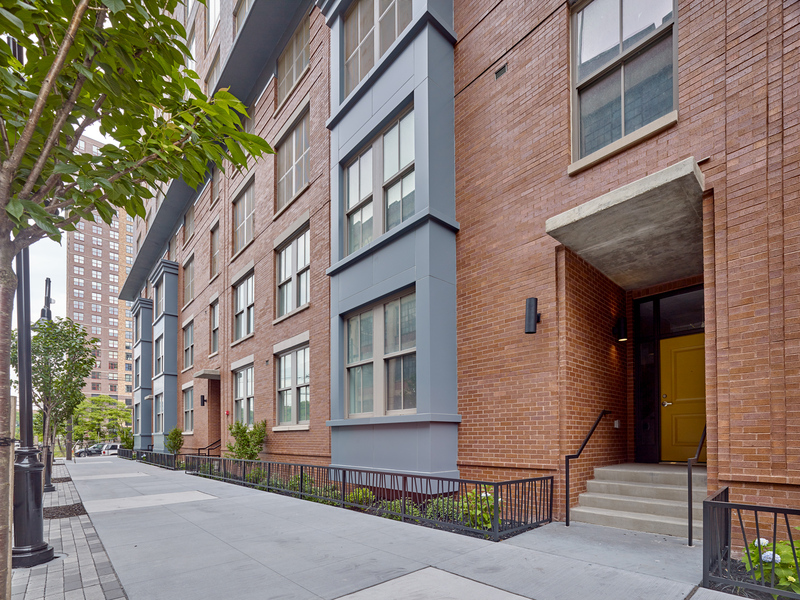 In the past three years, the firm has stepped into the five boroughs of New York, where it now has seven properties or sites under development. That includes a $150 million redevelopment project on Staten Island, where plans call for transforming a former naval base into a waterfront village with 900 residential units and 30,000 square feet of retail. The firm opened a Manhattan office in February, given that the city “fits that mold and (is) an area where we can leverage our expertise in a profitable fashion,” Michael Barry said. Despite being third-generation developers, David and Michael Barry said the business was never meant to be a dynasty. The South Orange natives became active with what was Applied Development Co. in the early 1990s, with David joining after a stint as a practicing attorney and Michael after finishing graduate school. They effectively took the reins and formed Ironstate in 2001 after their father, Joseph Barry, retired as head of the company. And while their work often overlaps, each brother as an owner has his own role: as president of Ironstate Development, David spearheads the firm’s pipeline, while Michael oversees construction and management of the firm’s portfolio as president of Ironstate Holdings LLC. But together, the Barrys have built the firm’s reputation for creativity and a cutting-edge approach, industry colleagues say, and Ironstate has become a sought-after partner for other developers. For instance, by year’s end, Ironstate and Edison-based Mack-Cali Realty Corp. will break ground on a three-tower rental project of more than 2,000 units on the Jersey City waterfront. Mack-Cali CEO Mitchell Hersh, whose firm primarily develops office buildings, said the Barrys “bring a great deal of local market knowledge and experience to the table,” plus the ability to put their own equity capital into the project. Ironstate also is partnering with Kushner Real Estate Group, in Bridgewater, on three upcoming projects totaling 1,500 apartment units in Jersey City. Jonathan Kushner, the firm’s president, said the relationship goes back about seven years, fueled in part by the Barrys’ “forward-thinking” approach and pulse on the market. “In terms of apartment design and layouts, unit sizes and curb appeal, amenity spaces, lobby designs — they’re always on top of it, and they’re always ahead of the market,” Kushner said. The brothers also try to guide their residential projects using their hospitality experience, from revamping management systems to putting art in the lobbies. They have had plenty of practice in recent years, they said: Aside from the W Hoboken, Ironstate in 2009 opened the Bungalow, a boutique hotel that’s part of the ongoing Pier Village development in Long Branch. The firm also recently acquired the former Cooper Square Hotel, in Manhattan, and is renovating it in partnership with hotelier Andre Balazs. Meanwhile, in Harrison, Ironstate is preparing to break ground on a new 136-room hotel, part of its venture with Pegasus. The Barrys attribute their success in part to how they manage volume, through a close circle of about 10 key executives, and refusal to stray from their expertise in development. Instead, Ironstate brings in professionals in construction, architecture and marketing to cover those project phases. Such was the case in the early 2000s, when Ironstate set out to build the W Hoboken, one of its first hotel projects. Robert Siegel, the architect, recalled that the brothers hired a prominent consultant for Starwood’s W brand to complement their own experience in the city. Ironstate also allowed his design firm — Gwathmey, Siegel, Kaufman & Associates — to take the creative lead in the 27-story tower. That sort of collaboration helps lead to success, Siegel said.